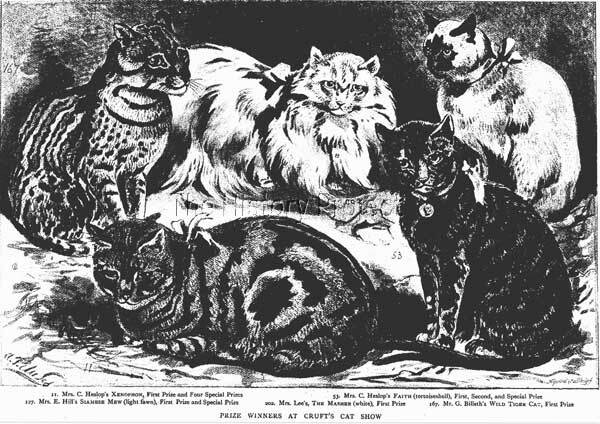 Front: Cruft's Cat Show. Shows image of shorthair cat. 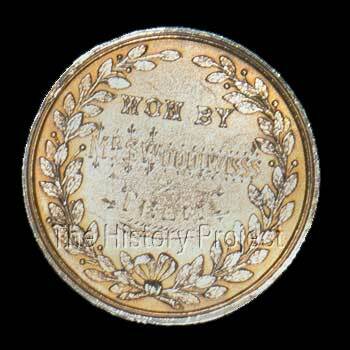 Engraved on back. "Won By Mr. S. Woodiwiss's Team"
Acquisition Donated to The CFA Foundation by Lorraine Shelton, May, 2005. Photos: Larry Johnson, courtesy of The CFA Foundation, Inc.
Charles Alfred Cruft (1852-1938), through his work experience with Spratt's (manufacturer of dog biscuits), was familiar with the world of breeding dogs. In 1878, he began managing dog shows for various groups throughout Europe. By 1891, the shows had adopted his name and the first show to carry the name was advertised as "Cruft's Greatest Dog Show". 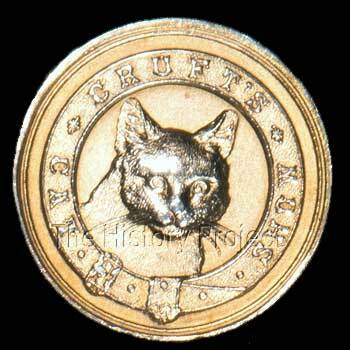 In March, 1894, Cruft decided to try his hand at managing a cat show. Reportedly, the first show attracted more than 600 entries, making it the largest cat show held to date. Unfortunately, reports note that it was not profitable. Patrons included the Duchess of Newcastle, the Countess de Sefton and Lady de Trafford1. 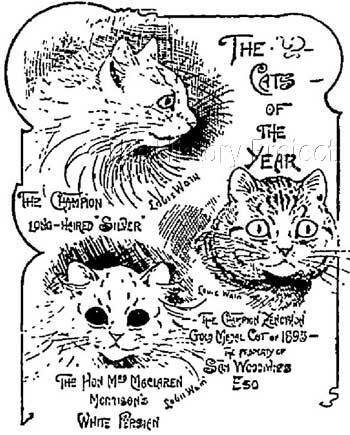 Despite praise and encouragement printed in Fur and Feather, Cruft only held one more cat show, in March of 1895. The planned show for 1896 was cancelled1. The preface of the 1895 National Cat Club Stud Book is signed by "S. Woodiwiss, Chairman". Mr. Sam Woodiwss is listed as owner of cats with registration numbers 1659 through 1665, shorthair cats in a variety of colors. 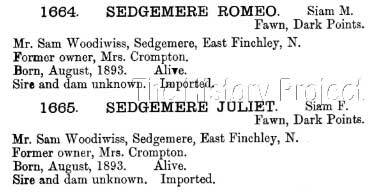 The first is a Silver Tabby shorthair male named 'Sedgemere Tucker'(1660), while the entries for 'Sedgemere Romeo'(1664) and 'Sedgemere Juliet'(1665) are listed as "Siam" with the color, "Fawn, Dark Points"3. Interestingly, in the 1895 National Cat Club Stud Book, only Siamese have a breed specified; all others are simply defined as Longhair or Shorthair. Unfortunately, it is unspecified which cat was the winner of the Cruft's medal, although research leads us to believe that it is most likely Ch. Xenophon, an English (British) Shorthair, as mentioned in the illustration below, but the engraving refers to a "team" rather than an individual cat. An article in the December 26, 1895 edition of the New York Times describes the show and states, "Another prize of the show was a brown tabby tom, Champion Xenophon, which its owner values at $5,0005." What's obvious from registration and ownership records at the time, is that the winners were definitely showing shorthairs, rather than longhairs.